Case studies of plastic stadium seating restored! Plastic seating in sports stadiums fade at a surprisingly fast rate but Seat Renew can help! View these latest stadium seat restorations. Restoration of plastic seating returns stadium seats back to their original colour. First our team of technicians deep-clean the stadium seats onsite while still on their fixtures. Second we apply our restoration process which involves a product that reacts with the contaminants on the plastic seating surface to combat the oxidization and fading. Lastly, once the colour is restored to the plastic seating we then apply a protective sealant that helps to weather proof the stadium seats and locks in the results achieved during the restoration process. 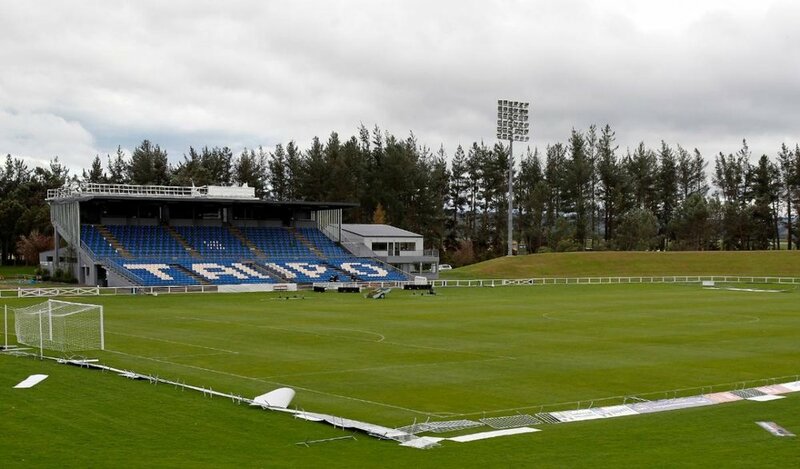 Owen Delany Park is Taupo's largest multi purpose premium sports ground with a capacity of 37,000 and is capable of hosting a variety of sporting and recreational events. It is the home ground of legendry King Country Rugby Club and hosted several games for the 2011 Rugby World Cup. Seat Renew restored the grandstand of bucket seats which were more than 10 years old and dull, faded and oxidized by years of use and exposure to the conditions in New Zealand. The Sydney Cricket Ground (SCG) is a sports stadium in the heart of Sydney, Australia. It is used for Australian football, Test cricket, One Day International cricket, some rugby league and rugby union matches. It’s the home ground for the New South Wales Blues cricket team and the Sydney Swans of the Australian Football League. Located in the heart of Melbourne next to the Yarra River, Melbourne Olympic Park comprises a wide range of sports facilities. It is Australia's premier sports precinct and regularly hosts some of the biggest domestic and international sporting events including the AFL Grand Final (Australian rules football) and Boxing Day Test (cricket). Located in the heart of Abu Dhabi, Zayed Sports City is the leading destination for sports and entertainment in the UAE. The tennis complex boasts an ATP Standard Grand Stand Centre Court capable of hosting 5000 spectators including a VIP Box and 6 outdoor courts with an additional 1000 seating capacity. Historic Flemington Racecourse in Melbourne, Australia has held races every year since 1840 and is most well-known as the home of racing in Australia. Flemington Racecourse hosts two major carnivals in autumn and spring that provide some of the best racing held in Australia each year. Queensland Tennis Centre is located in the heart of Brisbane, it boasts the 5,500 seat Pat Rafter Arena and 23 International Tennis Federation standard courts and is the home of Tennis Queensland. In January 2011, after three weeks of torrential rain across the state of Queensland, the weather front hit Brisbane with full force.